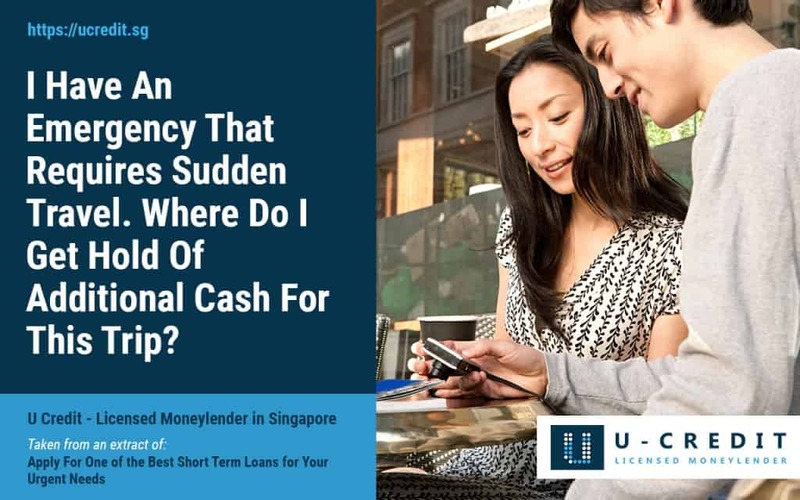 In Singapore, short term loans are taken by people who need fast cash for various urgent reasons. These are unsecured loans and to qualify for them, you need to have a regular income from sources such as a job or a business. You also need to be a citizen of Singapore, or a foreigner who has the authority to live in Singapore and work as well. Additionally, the law stipulates that you should be above the age of 21 before you can take a short term loan. U Credit has been in the forefront of this business for many years. We are a licensed moneylender and an established institution that offers personal credit in Singapore. Our services are available to all as need arises. It is important to note that we do not require any form of security. For this reason, the interest rate is typically higher than what you would get if you took a secured loan such as a mortgage or a car loan. The credit we offer is meant to meet your urgent needs and therefore the best short term loan deal is created. Financial emergencies crop up from time to time and we can help by giving you cash on the spot, provided that you meet our requirements. We ask for particular documents that you will need to submit with your application, and once the loan is approved, we sign the loan agreement and hand over the cash. We encourage our clients to only take as much as they need to resolve the urgent matter, and then to do their best to try and pay back in as short a time as possible by making larger installments if this is possible. By doing this, the debt is cleared faster and in a shorter period of time. It also goes a long way in opening up your servicing ratio, meaning that it will become easier for you to access credit in the future. My Child Has Been Unwell And I Need Money To Pay The Medical Bills, Can I Take A Short-Term Personal Loan? Whenever you take a personal loan, it should be to bail you out of tough situations like medical emergencies, or situations where not making a payment on time would have legal ramifications. It is important that whenever you take a loan in such a situation, you only take what you need and not more. You should avoid taking a loan to service games of chance such as gambling, betting, investment trading or ventures that are not a sure thing. The cash you borrow should be used for the specific need for which you borrowed it. If you have taken too much money instead of spending it on unwise ventures, pay it back in bulk as part of your loan repayment. If you are wise and plan well, the personal loan you take will help you navigate the tough times easily. It is important to note that you should not be overextended on your credit at any time. This will help you maximize on the opportunity to get the full amount that you are applying for. I Had An Accident And Need Money To Fix My Car, How Do I Qualify For A Loan? Proof of Employment – You need to provide your employment contract, which should have your salary clearly written out. Last three months payslips – For foreigners only. These enable us to assess your income, other expenses, and debt servicing ratio. With this information, we will know how much to give you and also work out the repayment plan that will work best. It is specifically for people in business or paid on commission. Using this information we are able to figure out how much you make every month on average, so that we can calculate the amount that you qualify for and the repayment plan that is ideal for you. Credit Score – If your credit score is poor, we can still help you get the credit you need as long as your financial situation now is able to support your loan. Bankruptcy – If you have filed for bankruptcy in the past, you can still qualify for a loan with us by submitting your letter of discharge. Unlike traditional banking institutions that require a formerly bankrupt person to wait as many as five to seven years before extending credit, we go ahead and help you out now. The only time that U Credit does not extend credit to an individual is if you are already overextended and exceeded your capacity to borrow. My Credit Record With Various Banks Is Bad. Can U Credit Still Give Me An Urgent Short-Term Loan? When your credit is bad, things can get real tricky as far as borrowing is concerned. However, we have put together a personal loan that is flexible enough to help people with bad credit. We are a top licensed money lender in Singapore and our interest rates are very attractive. We have plenty of experience in the lending industry, which makes us a one-stop-shop for a myriad of financial services. Regardless of your financial emergency, we provide excellent personal loans to borrowers who are salaried. You can apply for a short term loan using our easy online loan application and we will check it out on the same day. We have fully trained our executives to walk you through the terms of the loan and to help make improvements to your current financial situation. After you have repaid the loan, your credit rating will reflect the repayment that will make it easier to access even more funding in the future. If your credit profile is bad and you have had a difficult time accessing credit, simply put in a non-obligation personal loan application and we will be able to quickly process your request. We acknowledge that a financial emergency can occur at any time. It is therefore important that you have a financial partner that you can rely on. With poor credit, you cannot rely on your bank in a financial emergency. If you have already tried to do so, chances are that you have been turned away already. My Bills Are Due and I Am Short Of Cash in 2019! Sometimes you have pressing issues and nowhere to find the amount of money you need within short notice. Need money to pay bills? It is unfortunate that with the living standards being so high and the economy as it is today, most people are unable to save as much as they would like to. Even those who have managed to save find that the amount they have may not be able to resolve the pressing needs that arise. Such times can be stressful, especially if you are looking for money to pay the rent, utility bills, or have some other emergency. Borrowing from family and friends can also be disappointing since they too may be struggling to meet their own needs. Where do you turn for fast cash advance at good terms? 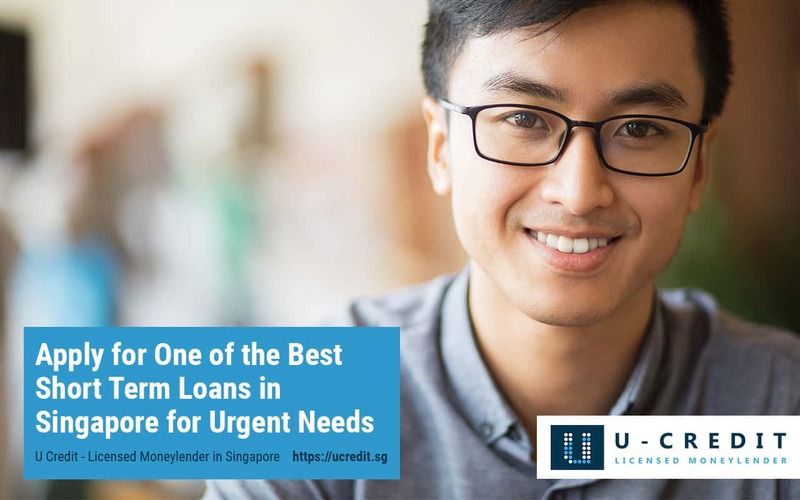 U Credit offers you a solution. We are a licensed moneylender, offering a legal service. We are an established institution and offer you a top-notch service. We will offer you a personal loan that will bail you out. Apply online here to start. Unlike big financial institutions and banks, licensed moneylenders have the mandate by law to avail credit solutions that are easier to obtain. However, all moneylenders are not equal. It is up to you to carry out a careful assessment of the lender’s credentials before putting in your loan application or taking out a short term loan with the lender. If you were to check out U Credit for example, you will find our registration information with the Ministry of Law. That license number is the proof of registration and that tells you that our business is legitimate. We can therefore help you finance your emergencies. We process loans in a speedy fashion, which means that you can respond to your financial emergency quickly as well. I Have An Emergency That Requires Sudden Travel. Where Do I Get Hold Of Additional Cash For This Trip? Emergency travel can create a need for a short term loan. You begin by figuring out how much money you need so that you know how much to borrow. It is important to ensure that the money you borrow is not too little, which would then mean taking an additional loan to make up the difference. At the same time, ensure that you do not borrow above and beyond the amount needed because you will end up spending what is left over on things that are not important. As such, you will be incurring additional costs for unnecessary things. Once you have the correct figure then you can figure out if the amount you need can be provided by the loan you want to take. If there is another debt that you are currently servicing, it may be difficult for you to secure the amount that you need. This is why you should try to have your debt burden low at all times so that in your time of need, you can get the amount that you want. I Need To Pay Off My Kid’s School Fees Fast, Which Documents Should I Provide? In order for us to quickly process your loan application, we need to have all the documents submitted along with your loan application. It is a good idea to call us after you have submitted your online application so that you know exactly which documents are needed to process your loan. When you bring your documents down after submitting with your loan application, we just need to verify them and approve your short term loan (provided that everything is in place). 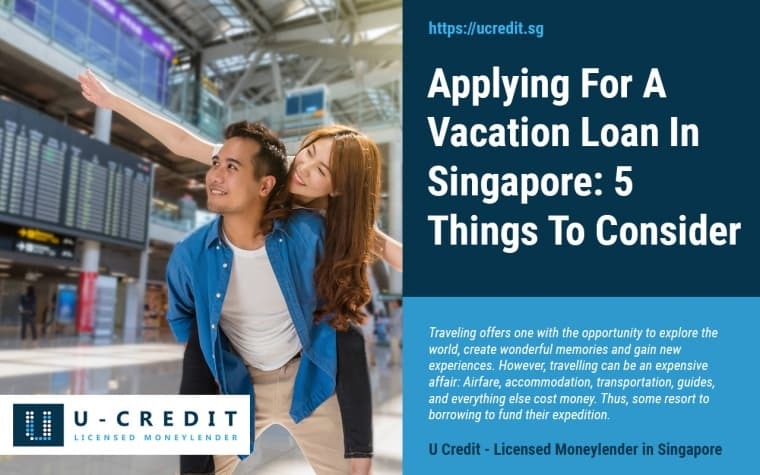 The required documents will depend on whether you are a Singapore citizen or a foreigner, as well as how you make a living.  Chat with us to find out more details if you need. You can rest assured that your documents and the information submitted will be treated as highly confidential and with the highest integrity. When applying online, please do not submit these personal documents via the online portal. One of our representatives will give you a call and you can bring them down to the office where we will personally receive them. Regardless of your needs, U Credit is able to help you. You simply just need to contact us then we will go out of our way to create a solution that is timely, quality and customized for the financial difficulty you find yourself in. Even though desperate times may call for quick solutions, it is important that you research the licensed money lender from whom you will get financial assistance and make a decision that is wise. You can opt for a secured loan or a non-secured loan. If you opt for the former, then you will need to provide collateral or security. However, if you opt for an unsecured loan (which U Credit offers), then you do not need to worry about putting down any collateral. All you need is proof of income. One of the very best things about taking short term loans is that you are able to access it for a wide variety of financial needs. Whether you need to pay off debt, start a business, pay off bills or buy an asset, you can take a personal loan for that. Many borrowers worry about how much interest they will accrue while they pay off the loan. The different financial institutions and moneylenders set different interest rates so you need to shop around. When it comes to repayment, the period tends to be flexible based on the ability of the borrower to repay and repayment is in installments. While shopping for a personal loan, look for low interest rates and also a comfortable repayment plan. Be sure that the loan you are getting is coming from a licensed moneylender or financial provider. Before a financial institution can get a license, they have to qualify and be able to provide suitable financial solutions to their clients. This means that they are trustworthy and their expertise and financial advice is reliable. If you apply for more than what you actually need, the financial adviser will give you the right advice and let you know which loan is suitable so that you do not have to deal with a rollover situation. Many people who find themselves in a money crisis usually have poor credit history. This makes it difficult to take out a loan from a financial institution or a bank. Your best bet in such a situation is a licensed moneylender. 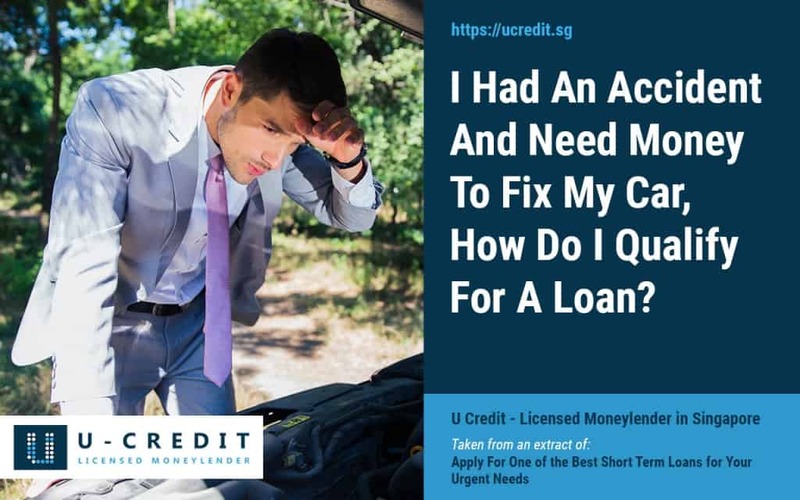 Legal moneylenders in Singapore take the risk of lending to you even with poor credit and help you with time, to regain your credit worthy status. Since the moneylender is licensed and able to give you financial advice, they can help you plan your income and expenditure as well as offer you advice that will help you manage your money well. In addition, they will give you the loan that you need to get you out of your current money crunch. Click here to start applying for a loan now.